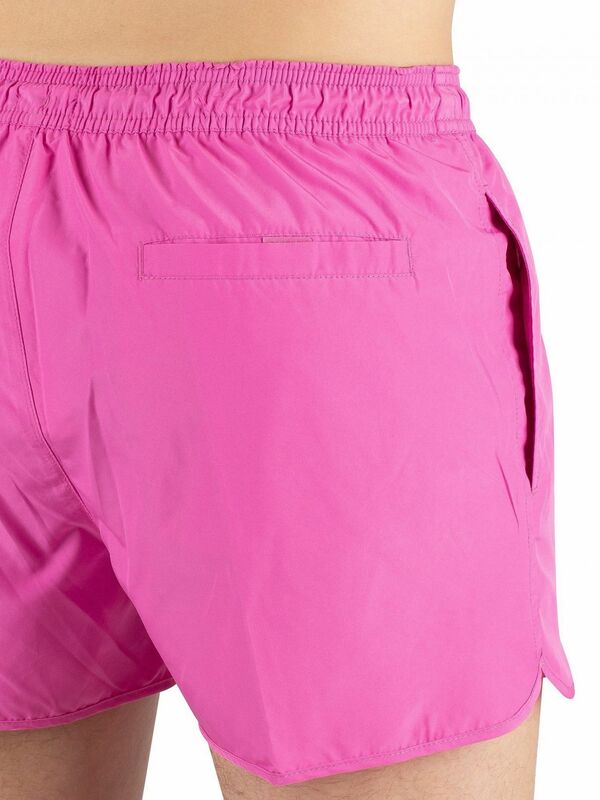 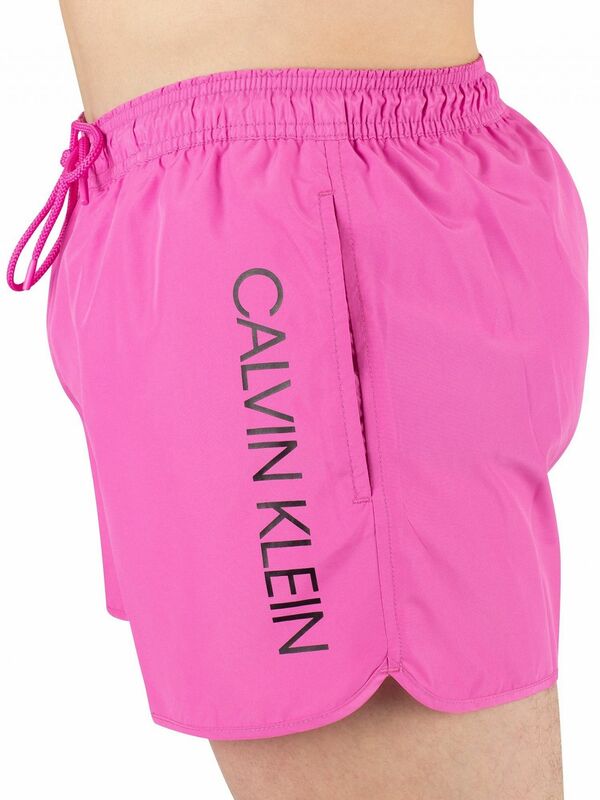 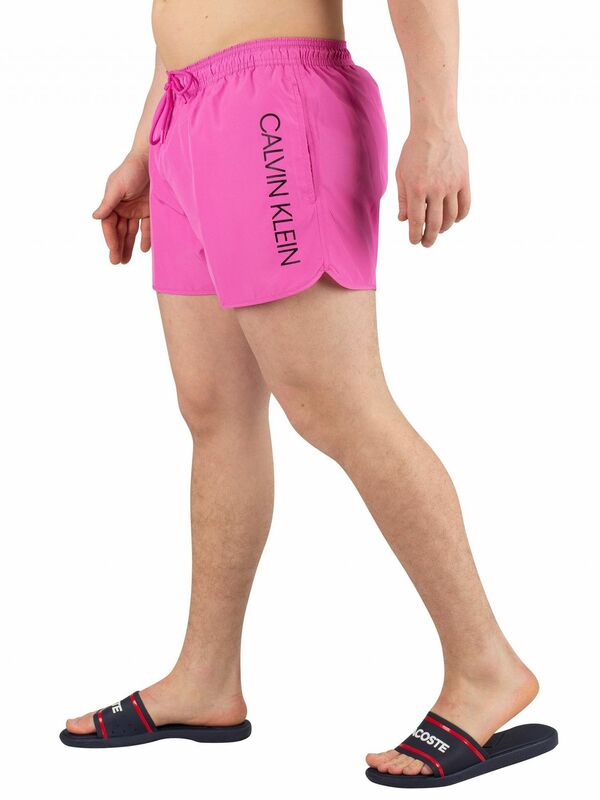 The Short Runner Logo Swimshorts from Calvin Klein comes in Phlox Pink colour, featuring a drawstring elasticated waist. 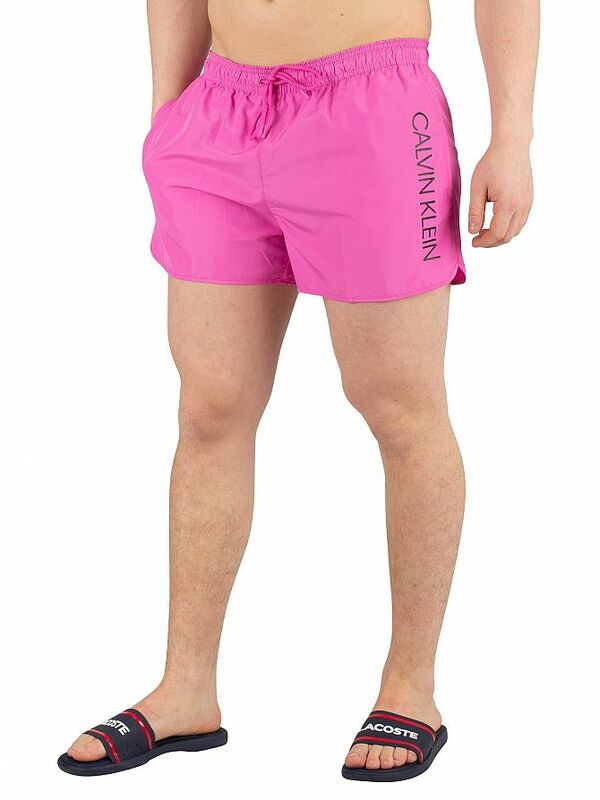 These swimshorts sport printed branding on side and is branded inside of waistband. 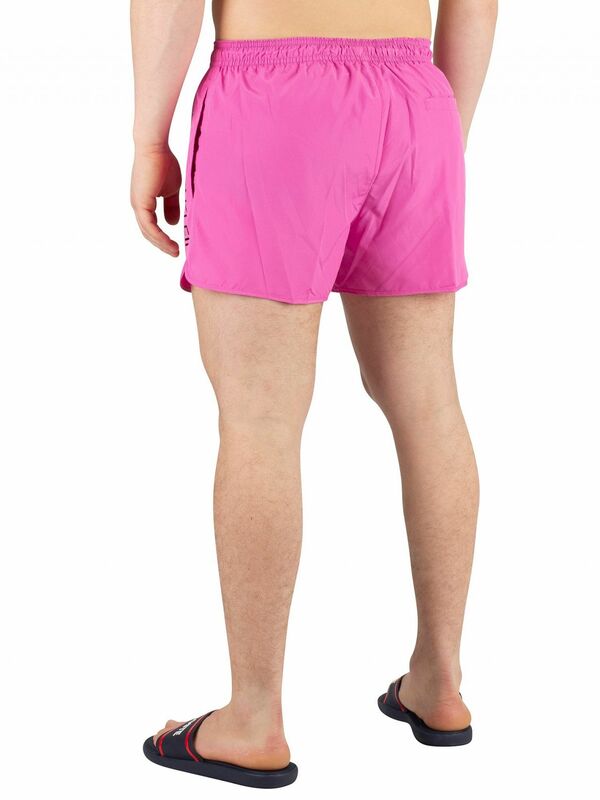 Coming with open side pocket and velcro back pocket, this pair of swimshorts for men features a mesh lining.